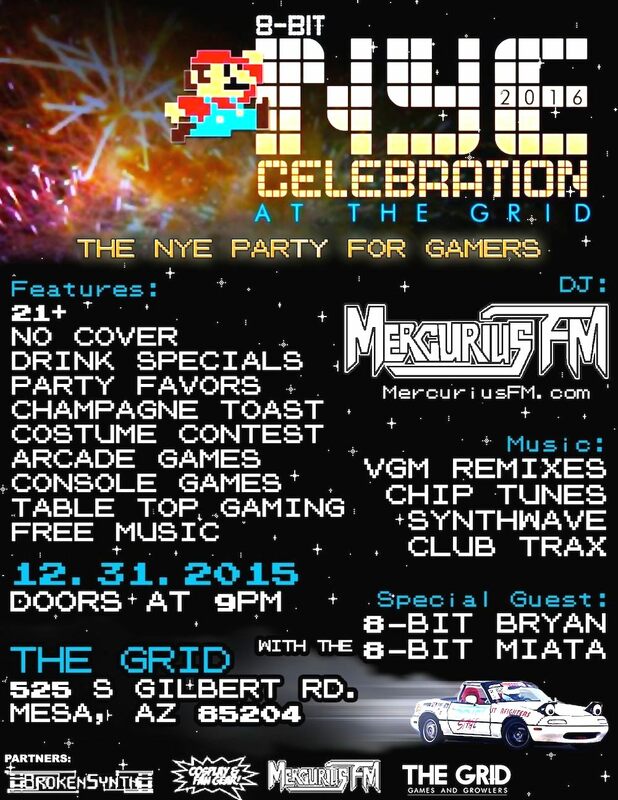 Celebrate New Year’s Eve in Arizona at The Grid: Games and Growlers!! Party gamers welcome! Dance with us for a night of video game remixes, chiptunes, synthwave, and more. Drink specials, party favors, and an epic 8-bit toast are par for the course. You can also PLAY VIDEO GAMES and check out a sweet 8-Bit themed Drift car! We’re not kidding. It’s gonna be crazy.